So what is the appropriate amount of soap needed in order to wash hands properly? The answer to this question varies widely, depending on who you ask. Some facilities are reducing the amount of soap dispensed to 0.4 ml — not enough to get the job done, according to some dispenser manufacturers. Schneringer offers a range of soap dispensers with various shot sizes, including 0.7 ml, 0.9 ml, and even 1 ml. He also sells an adjustable dispenser that can be set to dispense 0.7 ml or 0.4 ml. According to Schneringer, manufacturers alter soap shot sizes at the request of the customer. 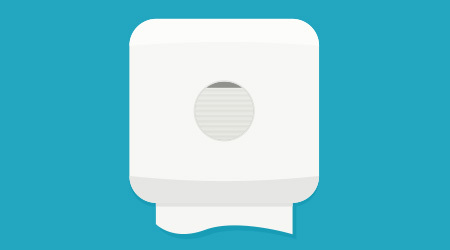 Some believe that limiting the amount of soap dispensed has the same effect as buying cheap soap. Facilities save money up front but could end up paying more in the long run. A good, quality soap that lathers easily may be effective when dispensed in smaller amounts. Likewise, facilities tend to get more mileage out of foam soaps. While formulation and type is important to determine how much soap is enough, cleaning managers also need to look beyond the soap itself. The size of the end user’s hands should be factored into the equation, as well as the type of soil and the environment in which the soap is being used. Like hand soaps, hand sanitizers are dispensed in amounts predetermined by the manufacturer. Typically, building occupants need only one shot of hand sanitizer to properly disinfect their hands — about the size of a quarter, according to Saul Strain, vice president of ABC Sales & Services, headquartered in St. Thomas, Virgin Islands. While users are more likely to overuse soap than hand sanitizer, there is also the danger that they might not be using enough. A good rule of thumb: Make sure building occupants have enough hand sanitizer to cover both hands and keep them wet for 15 seconds.